← What’s on your coffee mug? 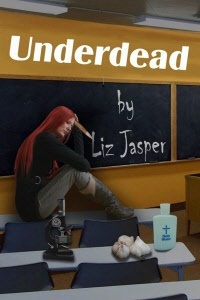 New Cover for Underdead! Underdead…when one bite just isn’t enough! Genius cover artist Robert McAndrews has designed a new cover for Underdead. Both books will be re-released soon! 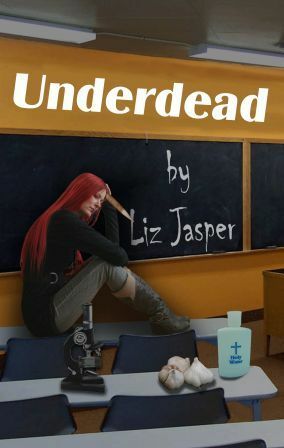 Click here to read the first 2 chapters of UNDERDEAD! 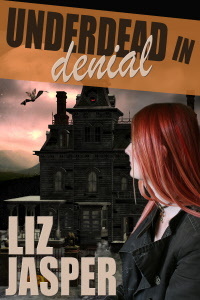 This entry was posted in Book news and tagged author, award, book, cover, cozy mystery, EPIC, EPPIE, funny, funny mystery, humor, humorous mystery, liz jasper, liz jasper author, liz jasper writer, mystery, paranormal mystery, underdead, underdead in denial, vampire, vampire mystery. Bookmark the permalink. VERY COOL COVER, Liz. Suits the story. Here’s to mega sales.